The HiRes 90KTM Advantage implant family features the most advanced sound processing available and unsurpassed programming flexibility for the world’s best hearing performance.4,5 This sophisticated technology from AB is designed to bring you the clearest, most accurate sound possible so that you or your child can hear well in challenging listening situations like telephone conversations, office meetings, and school recitals. Mechanical improvements of the HiRes 90K™ Advantage implant that leads the industry with a 99.8% one-year cumulative survival rate (CSR),6 a measure that defines the likelihood of a device continuing to function over time. 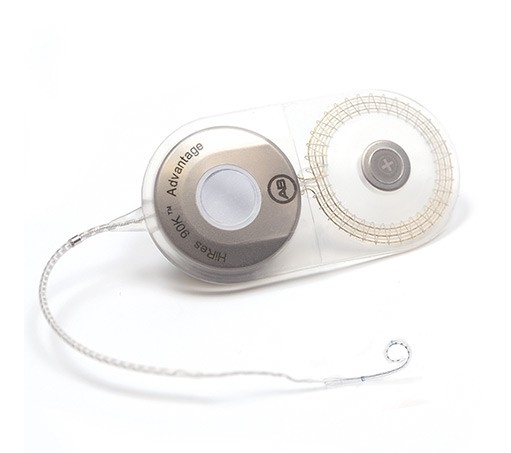 You can rest assured that an AB cochlear implant will continue to work so that you may always hear your best.